Hey lovelies! Over the past few weeks my face has been breaking out. I usually never get breakouts, only the occasional "the pimple is only visible to me" kind of bump (which only happens like 4 times a year, max). I've wanted to pick up a face brush for a while now but never wanted to spend $200 on a Clarisonic. I mean, what not working college student has $200 to blow? Not I. But since I now am employed (woo!) I figured why not bite the bullet? My skin would be happier this way. 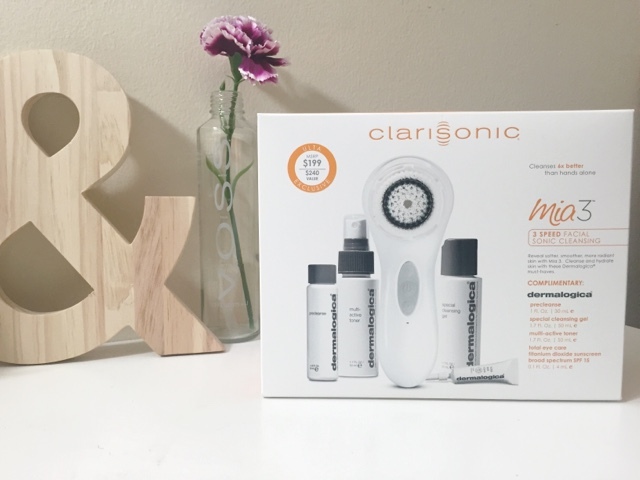 I picked up the boxes for all three Clarisonic models and tried my best to decide which one would be best for me. I was going to go with the first model, but hiding on the bottom shelf was a box that held the Mia 3 along with complimentary sample sizes of a bunch of Dermalogica products. I've been wanted to try out some of those products as well but couldn't bring myself to spend $60 on a product I didn't know would actually work for me or not. So, this was a definite score! I took the product to the cashier after 20 minutes of debating about which model to buy. The cashier at Ulta told me I was making a great choice and that the Clarisonic saved her skin. So after $218, home she went. I read the directions inside of the box and it recommended that I charge the Mia 3 for 24 hours before the first use. I had work later that night so I decided to charge it for 6 hours instead. Who has time to wait 24 hours? Not this girl! The charger is super cool. I plugged it into my laptop and left it on its drying stand hooked up to its charger. It's a little magnetic gadget that can be used on the drying stand, or alone. The sensitive brush came with the model, so it's very gentle and okay for everyday use. It has a cool feature where it shuts off after a few minutes of use so you're not over doing it. I've used it three times so far as a part of my newly found night routine, and I'm loving it. 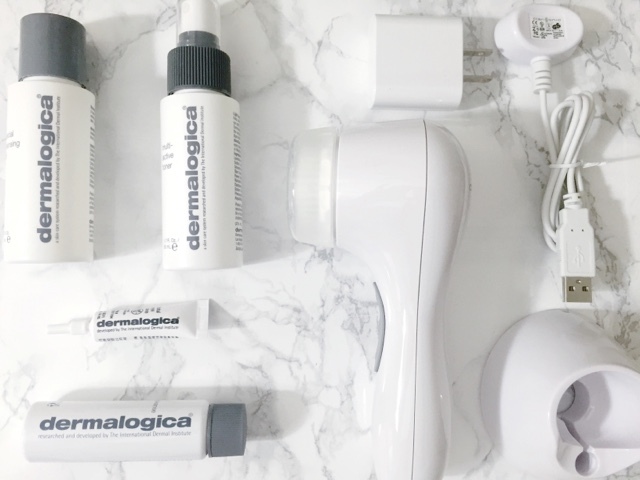 The Dermalogica products are a God Send as well! I wake up with my fave feeling moisturizer and looking nice and dewy. I'm thinking I will be spending $60 per bottle when I run out of these sample sizes. I will update you all on how the Mia 3 is treated me in a few weeks. As for now, I think it was worth my $218. Will I be singing the same tune in a few weeks time? Stay tuned to find out!